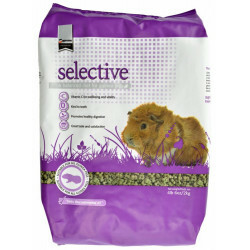 Guinea pigs are naturally adapted to subsist on grass and other plant matter as their primary diets. 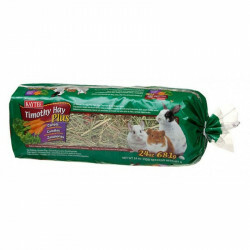 Fresh grass hay, including timothy hay, is a very beneficial feeding option, as are timothy-based food pellets. 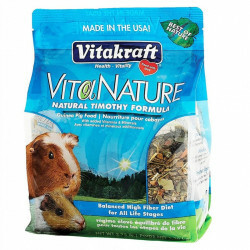 Guinea pigs cannot synthesize their own Vitamin C, and so must obtain it from an external source. 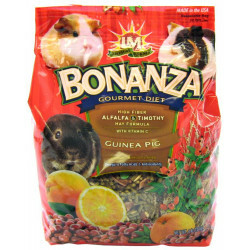 This is very important, as the onset of scurvy can prove fatal to guinea pigs. 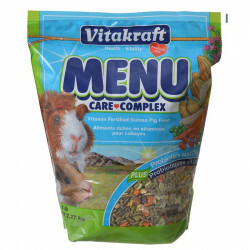 Providing your pet with fresh, raw fruits and vegetables or specially formulated dietary supplements can achieve the appropriate amount of Vitamin C to prevent this condition. 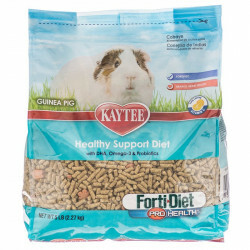 A healthy guinea pig diet consists of a balance of calcium, magnesium, potassium, and Vitamins E, A and D.
Pet Mountain's Guinea Pig Food store features top quality foods and food blends from the most trusted names in small animal care, including Supreme, Kaytee, LM Animal Farms, and more. 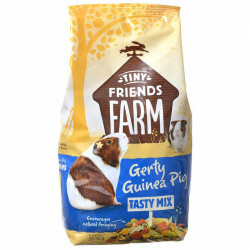 Supreme Gerty Guinea Pig Food is our most popular guinea pig food, a nutritionally complete food mix of highly palatable ingredients, including all the vitamins and minerals required to keep guinea pigs in the peak of health. 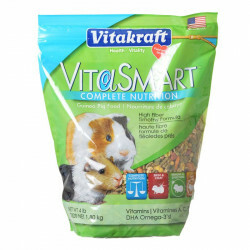 Added Vitamin C is essential to a guinea pig's health. 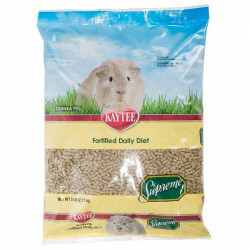 Supreme food also includes high fiber content to maintain healthy digestion, natural fibrous ingredients to aid dental wear, and vitamins and minerals required to keep guinea pigs in the peak of health. 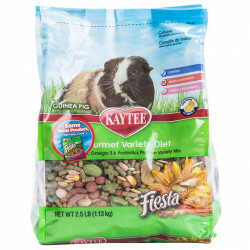 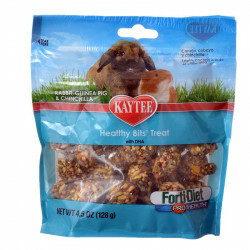 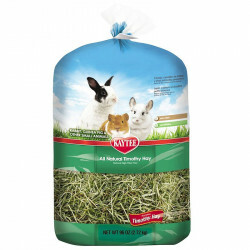 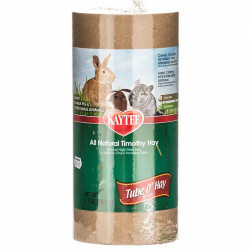 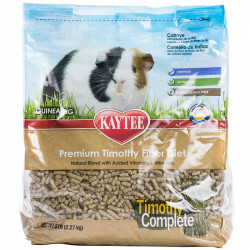 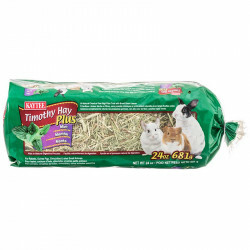 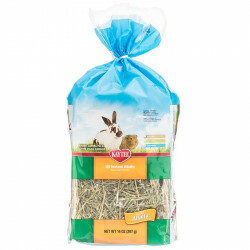 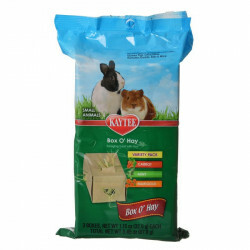 Kaytee Timothy Complete Premium Fiber Diet is a pelleted daily diet made with nutritious sun-cured Timothy Hay combined with other essential ingredients necessary for your Guinea Pig. 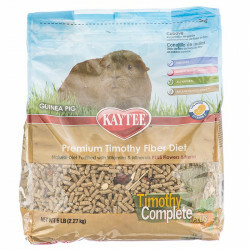 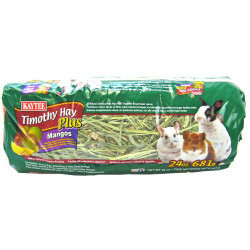 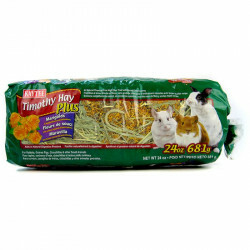 Timothy Hay aids the natural digestive process of Guinea Pigs by providing fiber. 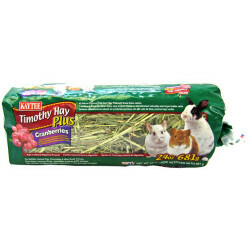 Because Timothy Hay is lower in calcium than other grasses, it may decrease the likelihood of urinary tract problems and other health issues relative to Guinea Pigs. 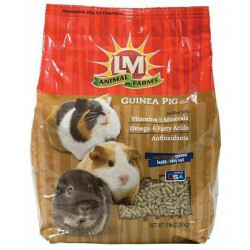 LM Animal Farms Fruit Harvest Wholesome Guinea Pig Snack contains a blend of fruits, vegetables, seeds and nuts. 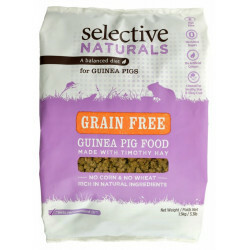 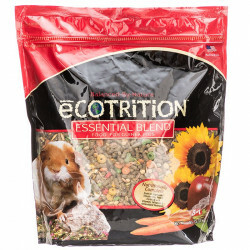 Use this delicious and nutritious mix as a supplement to your guinea pig's diet, or as a flavor packed topping or mix-in.